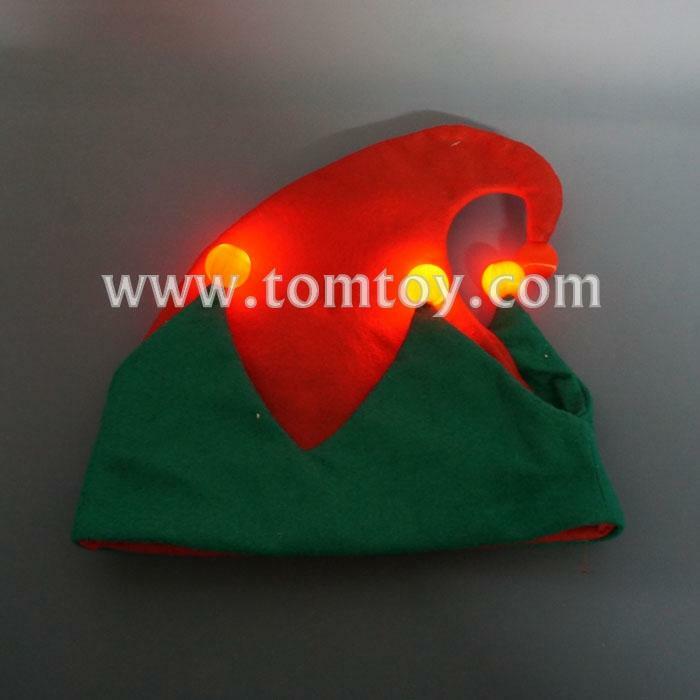 1.Whether you’re a kid or a kid at heart, this jolly LED Elf Hat spreads Christmas cheer far & wide. 2.This classic red & green polyester cap fits most of Santa’s little helpers, making it the perfect prop or costume accessory for festive family photos, night time parades, school plays, holiday parties, dances, fundraisers, corporate events & outings. 3.Four red LEDs flash like little glowing holly berries, powered by (3) included & installed AG13 batteries. 4.Naughty & nice can equally easily operate the blinking berry balls with a simple toggle of the on/off switch concealed inside the green fabric. 5.Outfit the whole family, class or staff to stand out from the crowd & be the life of the party, especially at night. Santa’s Workshop has never glowed so bright!